Apple could discontinue two products in their dwindling iPod line, perhaps as early as next week’s media event. Some even believe that the entire iPod line could get the axe this year. During Apple’s most recent earnings call, there was mention of a “product transition” which most assumed likely meant a pending iPhone announcement. TUAW, speaking on a tip they received some time ago but decided to hold off on mentioning, thinks that this transition could mean the end for the iPod shuffle and iPod classic. Both devices represent polar opposites in the iPod line. The shuffle is the smallest iPod available and doesn’t even include a screen while the bulky iPod classic still relies on hard drive technology for storage. Apple has moved almost all of their other products over to flash memory storage at this point. If these two products are nixed, the iPod nano would become Apple’s budget iPod and the iPod touch would represent the high-end segment. TUAW doesn’t believe that price cuts would accompany any discontinued news, however. CNET thinks that the entire iPod line could be in jeopardy. September is traditionally the time when Apple refreshes the iPod line but the media invitation for the iPhone event next week didn’t mention anything about iPods. 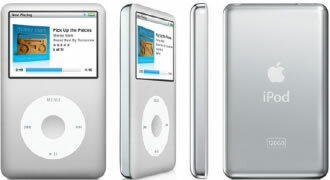 iPod sales have been in steady decline ever since the iPhone was introduced in 2007. iPods only represented eight percent of Apple’s total revenue in the fourth quarter of last year, a number that is probably lower than that as of writing.